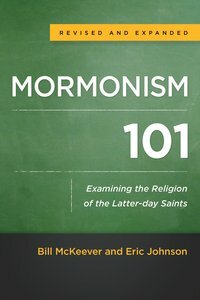 Bill McKeever is the founder of Mormonism Research Ministry in El Cajon, California, and the author of Answering Mormons??? Questions. Eric Johnson also works with Mormonism Research Ministry. McKeever and Johnson are coauthors of Questions to Ask Your Mormon Friend. Eric Johnson is Bill Johnson's son.